Oh! 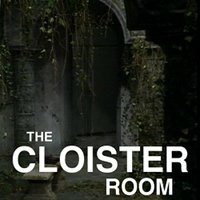 It's the eleventh episode of The Cloister Room, a podcast about Doctor Who and other things. This week, the "Doctor Who" is the Christopher Eccleston story "Dalek". Aaaaand no "Other Things." Next week, we'll be talking about the Tenth Doctor story "Midnight". The week after that we'll be talking about an Eleventh Doctor story... of your choosing! Comment here on this post, or leave an @ reply for @TheCloisterRoom on Twitter telling us which we should discuss. Oh, and be sure to let us know what you think of the podcast, through either of those ways or by e-mail at thecloisterroom@gmail.com. 17:02-19:40 - Next week: "Midnight"! My review of The Sarah Jane Adventures:The Vault of Secrets, also this week a short tribute to actor Graham Crowden who sadly died this week and a promo for The 20 Megabyte Doctor Who Podcast. Three topics for you today: A potential bonus for the U.S. thanks to the split 2011 season, new comics from Tony Lee and Paul Cornell, and a look at the curious case of classic-series nostalgia among new-series fans. fter a couple of relatively in-depth episodes the gang settle back into their old routine, loosen their belts and have a good old natter about the best books to read on the holiest of holes. Basic practicalities such as portability, absorbency (i.e. attention spans) and the cloth-touching of family trouser-turtles are all mulled over and given the serious consideration they deserve. Meanwhile welcome distractions are provided by a hacking cough, the cheapskate Ambassador of Ferrero Rocher and Blue Peter ladies - both totty and notty. Books and authors discussed include The Green Mile, The Yellow Wallpaper, Robert Bloch, Blood Sword, Leather Goddesses Of Phobos, Charles Dickens, The Lottery, The Running Man, HP Lovecraft and Legends. Strangely no mention is made of Wee Jock Poo-Pong McPlop, for which I apologise. Send your entries for the banner and logo competition flooding in to scrolls@hotmail.co.uk and for the sake of economy you can use the same e-mail address to contact us about joining in with the Scrolls Book Group podcast - open to all. I'm on Twitter now @Dion_Scrolls so I'd love to get any feedback there, on the forums at http://www.gsforums.co.uk via e-mail or on the comments section below. So much choice! Music is as ever by Steadman - except for the jazzy bit at the start which came off of some crappy cd I got free with a cocktail shaker a few years back. I should probably add that we are giggly and explicit from the beginning, but not so distasteful as to be graphic. Well, not that graphic. Wuss. Strap yourselves in, it's going to be a bum-py ride. With Flint unavailable, Rich pulls in Iz to see how someone who actually jumped on at prog 1700 is coping with the current storylines. They go through progs 1703-1706 and of course take time to take the piss out of the absent Irishman. This one was recorded slightly differently to normal, so apologies for the sound quality. As usual, expect spoilers throughout and language not suitable for the kiddies. Send your entries for the banner and logo competition flooding in to scrolls@hotmail.co.uk and for the sake of economy you can use the same e-mail address to contact us about joining in with the Scrolls Book Group podcast – open to all. I’m on Twitter now @Dion_Scrolls so I’d love to get any feedback there, on the forums at http://www.gsforums.co.uk via e-mail or on the comments section below. So much choice! I should probably add that we are giggly and explicit from the beginning, but not so distasteful as to be graphic. Well, not that graphic. Wuss. Strap yourselves in, it’s going to be a bum-py ride. From the DWPA - Doctor Who Live and the SJA Premier. Ok, recently several members from the Doctor Who Podcast Alliance were lucky enough to attend Doctor Who Live and the Sarah Jane Adventures premier of Death of the Doctor. 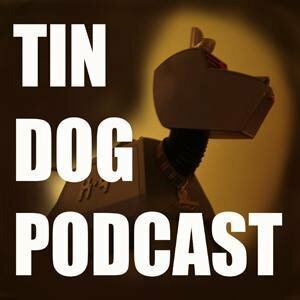 Contained in this here podcast are the thoughts of Professor Dave, James from ADWP, Adam and So-Called Real Keith from Staggering Stories as well as a burst of Luke from TMDWP. Enjoy. Casting aside the usual set-up of NEGF, Daniel and Lily take you through what went on at the British International Comics Shows as well as presenting a range of interviews recorded at the convention. The first interview with the Knight and Squire creative team Paul Cornell and Jimmy Broxton. A catch-up with Graham Pearce about the Sgt Mike Battle trade paperback mentioned in the last episode. Tom McNally letting you know about his latest project. Halloween Man's editor, Russell Hillman. And a chat with Matthew Craig, the creator of Hondle. If you liked this episode, you can find North East Geek Feast on Facebook. Just search 'North East Geek Feast'. You can also get in touch with us on Twitter: @comicsdaniel and @terracottalily. Halloween Man’s editor, Russell Hillman. If you liked this episode, you can find North East Geek Feast on Facebook. Just search ‘North East Geek Feast’. Are you in terrible need of some brain bleach after listening to Episode 30? Do you like zombies? Have a disease that needs an instant cure? We travel north of the Mason Dixon line this time and pay a visit to our friends Wendell and Wes from The Omega Podcast. It's a cacophony of accents, and this time there's someone to clean up the peanut shells. We cast our gaze on the Tenth Doctor story "New Earth," with its cat nurses and zombies. [Editor's Note: Those aren't real zombies. Real zombies eat human flesh and walk really slow. Just sayin'.] 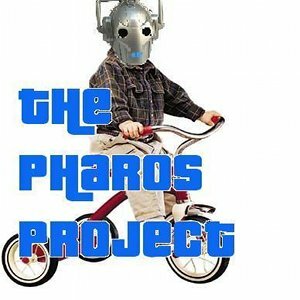 We get a little off track because, hey, it's four podcasters talking Doctor Who that have never met before, but it's all in good fun. It was the last time anybody told me I was beautiful. Special thanks to all those who provided feedback as well as to Adam from The 20 Megabyte Doctor Who Podcast in advance for being a good sport. 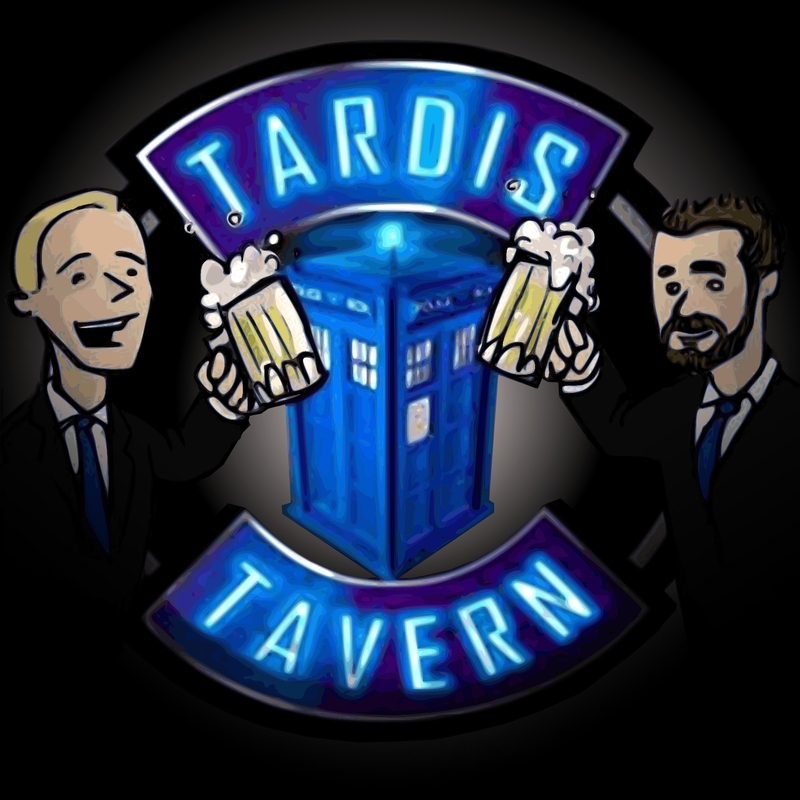 Please send us some feedback (audio or video, but we like audio) to tardistavern@gmail.com, join us on Facebook, or follow Sean's drunken tweets at @tardistavern. 046 - How Many Times? A short episode this week as I discuss The Nightmare Man, the first story of the new Sarah Jane Adventures series, as well as taking a dive into the surprisingly shallow news basket from the past fortnight. The Doctor faces Sutekh, the most powerful, evil alien to have ever lived ("Pyramids of Mars"). Then he must stop an alien race from taking control of the planet ("The Android Invasion"). If the last plot sounds a little familiar (RE: generic), well, there's a reason for that. The internet exploded in Doctor Who land this past week with fans beside themselves about Regenergate and Gallifrey One hotel rooms, which caused the Three Who Rule to take time out of this episode to allay those fears. Long stories short: Don't Panic. Everything's fine. After those fires were ably extinguished, it was on to the commentary for The Vampires of Venice, a mid-series tome that inspired overwhelming indifference from two members of the Radio Free Skaro team. Did that opinion change...? 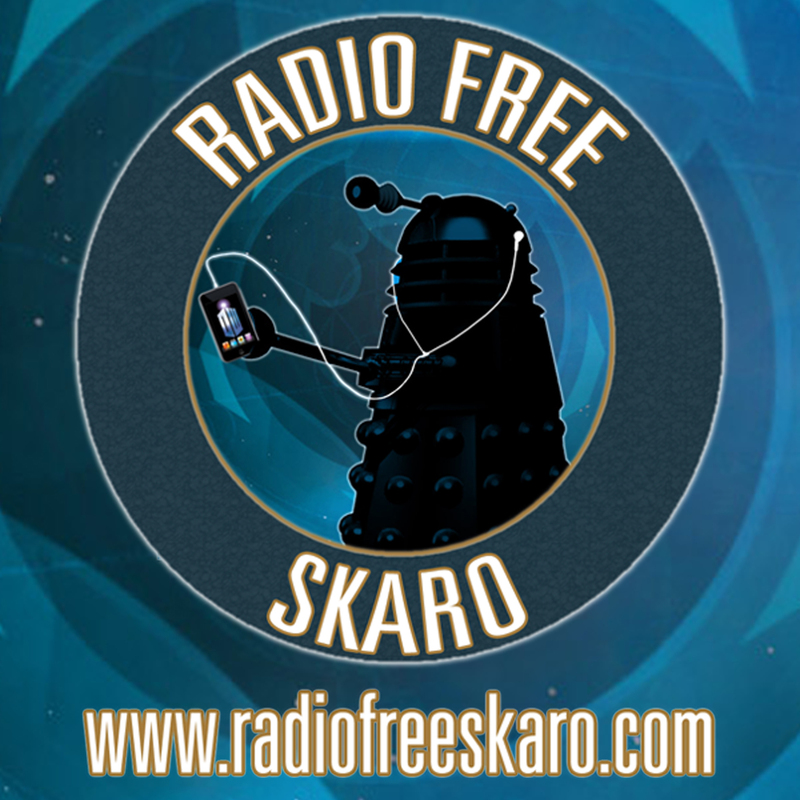 Check out the show notes at www.radiofreeskaro.com. 69 days until the 2010 Christmas Special. I'M not saying she's Elizabeth Sladen's dopelganger, she's more like Sarah Jane on human growth hormone. It's here & it's got stones! -> HHG2W: Mostly Harmless Cutaway 29.1 Today Eric & co-host Josh along w/special guest-hosts Katrina (@xanister) embark to capture the third segment to The Key to Time. Get ready for more Tom Baker, Doctor Who season 16 action. Perhaps one of the most defined series arcs in Doctor Who to date, The Doctor and his incomparable companion Romana I find themeselves a female version of the First Doctor (Beatrix Lehmann) whose consciousness has obviously been stowed in a fob watch. Prepare yourself for The Stones of Blood, story 100 part 1. This commentary contains miscellaneous NuWho & Classic SPOILERS pertaining to Season 16 from October 28 - November 18, 1978. If you are 100% spoilerphobic to New & Classic epsiodes not yet seen, DO NOT complain to us. And as always there are strokes of innuendo throughout. If it seems like it took a long time for this episode to be released congratulations, you're very observant and likely our #1 fan. All of us here in the Mostly Harmless Studios have been heavily burdened with duties outside the Whoverse as we know it, ie E-space. 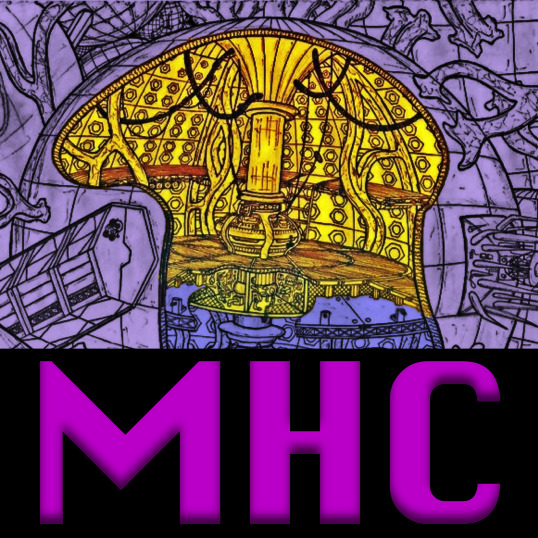 MHC Theme created by Eric Escamilla. In this episode we will look at Dudley Simpson's work on 5H - story 105 - The City of Death The City of Death originally aired between the 29th of September 1979 through the 20th of October 1979. It's here & it's got stones! -> HHG2W: Mostly Harmless Cutaway 29.1 <- Today Eric & co-host Josh along w/special guest-hosts Katrina (@xanister) embark to capture the third segment to The Key to Time. Get ready for more Tom Baker, Doctor Who season 16 action. Perhaps one of the most defined series arcs in Doctor Who to date, The Doctor and his incomparable companion Romana I find themeselves a female version of the First Doctor (Beatrix Lehmann) whose consciousness has obviously been stowed in a fob watch. Prepare yourself for The Stones of Blood, story 100 part 1. This commentary contains miscellaneous NüWho & Classic SPOILERS pertaining to Season 16 from October 28 - November 18, 1978. If you are 100% spoilerphobic to New & Classic epsiodes not yet seen, DO NOT complain to us. And as always there are strokes of innuendo throughout. Written and Starring Mathew Holness and Richard Ayoade this brilliant comedy series first hit the screens back in 2004. A homage to early (and cheap) 1980’s style action programmes Darkplace is set in a hospital over the very gates of hell in Romford. Holness plays the main character Garth Marenghi the horror writer who in turn plays Dr Rick Dagless in, Ayoade plays Dean Learner as Garths agent who in turn plays Thornton Reed, Matt Berry plays Todd Rivers who then plays Dr Lucien sanchez and Alice Lowe plays Madeline Wool who then plays Dr Liz Asher. Darkplace is a brilliant, quirky programme that benefits from visual gags, mad syncing, out of scene music cues and seriously bad Foley work all done deliberatlye. Its ounds weird and indeed it is but we hope listening to this podcast while make you go and seek it out and enjoy the dark world of Garth Marenghi and his Darkplace. 02:14 — Doctor Who: Going to the United States of America. 07:27 — Dirk Gently: BBC Four adaptation casts their Gently. 09:55 — Star Wars: Now in 3D! 12:06 — Birthday: Real Keith is even older! 13:53 — Doctor Who: Series Five Soundtrack details announced. 14:37 — Doctor Who: Irregular Remembrance of the Daleks figure pack at Forbidden Planet. 16:11 — Mark Gatiss’ First Men In/On the Moon to air on Tuesday 19 October 2010 on BBC Four. 17:34 – Doctor Who: Live. 76:15 – Farewell for this podcast! 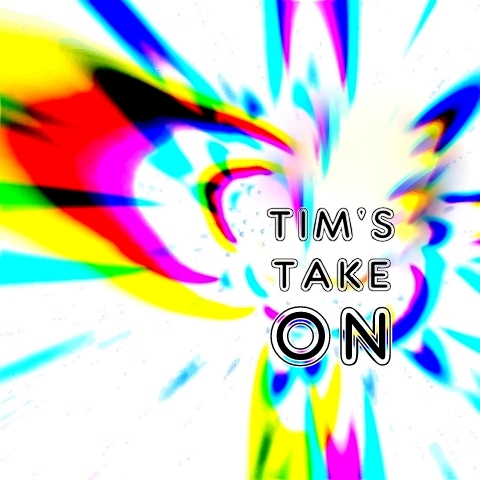 77:02 — End theme, disclaimer, copyright, etc. Staggering Stories: Podcast Drinking Game, Third edition. Wikipedia: United States of America. Forbidden Planet.co.uk Remembrance Figure Pack. Forbidden Planet.com Remembrance Figure Pack. BBC: First Men in the Moon. One of the biggest names in the business: Bryan Hitch talks about his life, work and his new art book from Impact Publishing in a live podcast hosted by the infamous Geek Syndicate. Followed by a signing in the theatre lobby. Big thanks to Stace from Small Press Big Mouth for taking up the co-host duties on this panel. LIVE from New York Comic Con with special guest, Tony Lee (Doctor Who: The Forgotten and the ongoing Doctor Who comic series by IDW), plus breaking news on Gallifrey 22 with Shaun Lyon, Doctor Who: Demon Quest 2 - The Demon of Paris, and more. Hosted by Louis Trapani, and Ken Deep. This episode is also brought to you by Audible. Visit http://www.audiblepodcast.com/arttrap for your FREE audio-book download with free trial. This week, the intrepid Projecteers tackle the William Hartnell story "The Web Planet", (production code N). We get caught up in the whole Regenergate (props to Doctor Who MHC) explosion. We actually have emails from supposed listeners to read out. And Barry Manilow fills his bag with Universal horror themed treats, in time for Halloween. 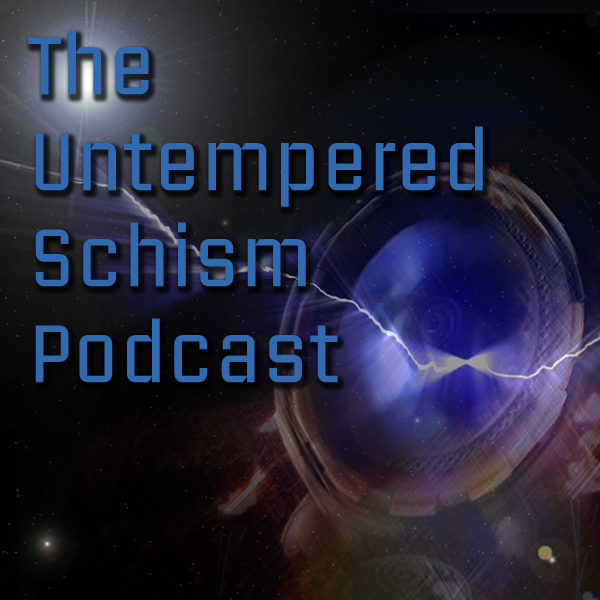 With all the highly offensive bits sloppily edited out, we present Episode 25. Here we are again. We take a look at the teasers from 'The Brilliant Book' and at Curse of Fenric. Much debate, cocktails and hilarity ensues. Welcome to Projected Ramblings! Join Rich and Ben as they recommend the best cinema has to offer. Episode 1 - Time Travel YESSSS!!!. You want awesome time travel constructs, Oedipal complexes and hoochie mamas! We've got you covered. With Flint and Rich off getting drunk in new York, Stacey steps in to have a look at their zarjaz/dogbreath stuff with the help of a few 2000ad pros eager for revenge. Welcome to Projected Ramblings! Join Rich and Ben as they recommend the best cinema has to offer. 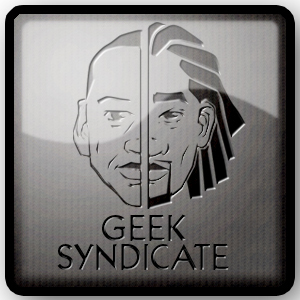 Episode 1 – Time Travel YESSSS!!!. You want awesome time travel constructs, Oedipal complexes and hoochie mamas! We’ve got you covered. Darth Skeptical stops by to review Planet of Fire.